Mr. Weisenberger brings 15 years of financial services experience to his role at GPB Capital. He is responsible for leading the in-house communications department in which marketing and communications collaborate to engage clients, investors, and other constituents. Most recently, Mr. Weisenberger was the Executive Director of Product & Due Diligence at Ascendant Capital. There he was responsible for the oversight of product development and due diligence efforts. 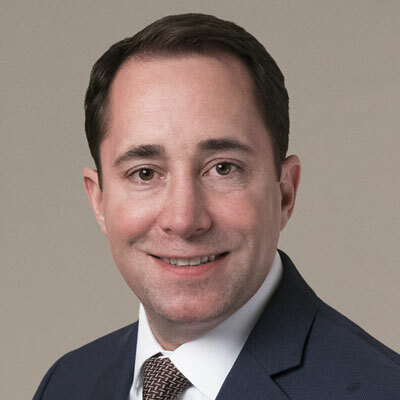 He joined Ascendant Capital in 2015 from Williams Financial Group where, as Senior Vice President of Alternative Investments, he led all due diligence, product strategy, and sales initiatives for the firm’s alternative investment platform. Prior to this role there, he served as Vice President of Alternative Investments, Investment Research & Due Diligence at NFP Securities, Inc., where he was responsible for managing all aspects of the alternative investment platform. Mr. Weisenberger has a Bachelor of Arts in Economics degree from the University of Texas at Austin and is a Chartered Financial Analyst.